Choosing the right collar for your dog is one of the most important decisions that you face as a dog-guardian. If it’s to flimsy it will break and potentially endanger your beloved friend. If it’s too rigid it might injure your pet. There are a few things that you must consider before finding the right collar for your dog. This short guide will help you find the perfect one in a few easy steps. Is your dog leash trained? 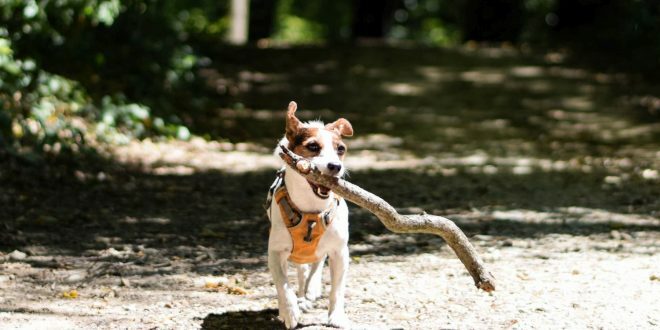 Walking on a leash is one of the most important skills that our furry friends must master. It’s important for their own safety as much as your own comfort. Dogs that are not properly leash trained will pull and tug you all the way during the walks greatly increasing the risk of injury. 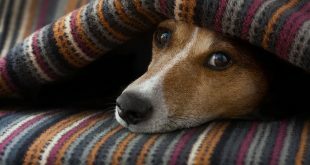 If they are easily excitable, or are a hunting breed like the JRTs they can lunge at something that suddenly peaked their interest, be it a small animal, a toy or another dog – in that instance their focus is primarily on the object without regard for their surroundings – such instances can lead to severe traffic injuries. Properly leash training your dog is in everybody’s best interest. 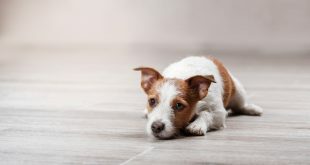 Does your dog have certain health issues? Classic (flat) dog collars that go around their necks can damage their trachea and are known to cut their oxygen supply when worn too tightly. It’s best to avoid using such dog collars on pets that are prone to tracheal collapse. 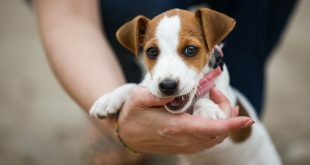 These are usually small breeds, older dogs, overweight dogs and those that are exposed to second hand cigarette smoke. You can easily spot signs of tracheal collapse if your dog has problems breathing, coughs and dry heaves when being picked up or when he/she is wearing a collar, wheezes when breathing and avoids physical strain. If you notice any of these signs remove the collar form your dog immediately and take your beloved to the veterinarian for a checkup. Are you walking your dog or is he walking you around town? You may be best buds but after all it’s up to you to decide when, where and why you are going someplace. Many professional dog trainers use and recommend front-buckling harnesses for easier injury free dog training. Front-buckling harnesses compel your pet to walk by your side, instead leading from the front, and give you a good leverage if their focus suddenly changes. The leash is clipped on a harness that goes around your dog’s chest and front legs not straining their neck. Tugging the leash results in the dog facing you instead of the distraction and results in shifting their focus on you and giving you an opportunity to correct their behavior with positive instead of negative reinforcement. We use Ruffwear Front Range Harness which is a great example of front-buckling harnesses. It’s very well made, sturdy and comfortable. We use it every day, for every walk (you can see it in use on our Instagram page) and for hiking too. I’ve never seen Kala’s showing any signs of discomfort related to the harness and its front buckle really helped to master loose leash walking. Now we use exclusively the buckle on the back, but I love the given choice. We are more than happy with it and recommend it to everybody. Back-attaching harnesses are comfortable, even more if they are padded, and don’t restrict dog’s movements yet still allow you to keep him safe in case something catches his interest. Jacks are quick, agile, energetic and often excitable, but I think that back-buckling harnesses are the best fit their small size and they are easier to use. Some owners that haven’t leash trained their dogs might find that such harnesses are maybe a little to liberating for their four legged friends that could start abusing their freedom and start wreaking havoc. Most positive trainers recommend harnesses, but if you’d like to use a standard collar, be sure to choose padded one, like Kong Comfort Collar, with secure fastening and, the most important thing, the right size. When you put it on your dog, you should be able to put 2 fingers between a dog’s neck and a collar. If you have a wired haired Jack Russell, have in mind how his neck circumference is different when he’s groomed or hairy. All of these are simply different forms of torture for your furry buddies and DON’T USE THEM UNDER ANY CIRCUMSTANCES. If you like hiking like us you should think about investing in a good, durable harness that can withstand the trials of the trail and be used as a tool to help your furry friends over some obstacles that could be hard for them to traverse on their own. Of course your choice will depend on the type of the trails you choose, so for some lighter trails harnesses such as Ruffwear Front Range Harness or Hurtta Active Harness, both padded and really comfortable will be a good choice, but for longer and more demanding trails Ruffwear Web Master Harness is a better choice as it is has one additional padded belly strap for controlled lifting. Of course, if you’d like to run with your Jack or go for bicycle rides, please choose good quality harness and spare your dog from jerking a leash attached to the collar. I’m sure you wouldn’t want to be pulled by the neck, so don’t do it to your dog. Choosing the perfect collar for your dog isn’t easy and you should take your time and dedicate some research to finding the perfect one for you. If you follow these few tips, I trust that you will make a good decision. Investing in a good, comfortable, durable collar or harness for your puppy is an expense that you will not regret and your four legged companion will be grateful too. I have been thinking about getting a puppy this summer. So, I like that you pointed out that I should consider the comfort of my puppy. It is good to know that I wouldn’t want to get a collar that will restrict its movement. Thanks for the tip about considering your dog’s health issues when choosing a collar for this. It would probably be smart to talk with your vet to make sure that the collar you buy will good for your dog’s health. I’m looking for a good collar to help start taking my dog on walks, so I’ll have to consider her health issues as well. Those tips are amazing! Very helpful in choosing what collar for my paw!